A 360º tour of each area is shown, allowing the user to explore each space as if they were there. 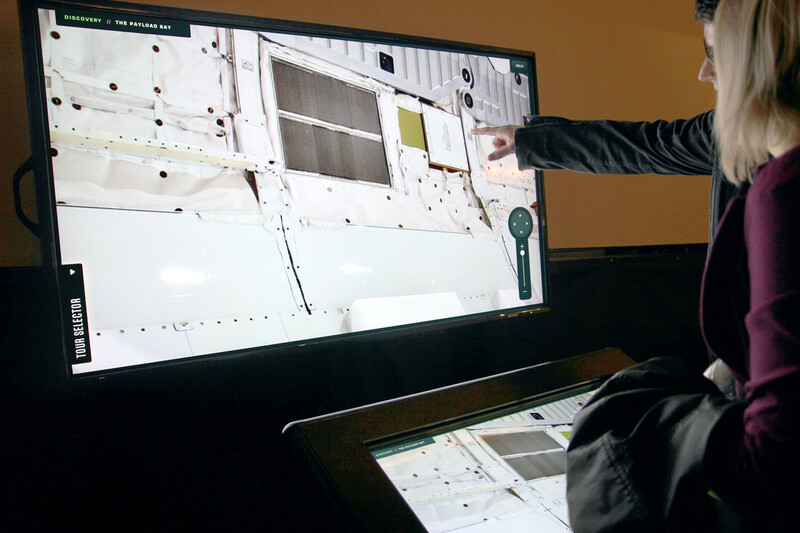 Pop-ups appear throughout the tour, and users can touch them to learn more. The VR Tour interactive in use. 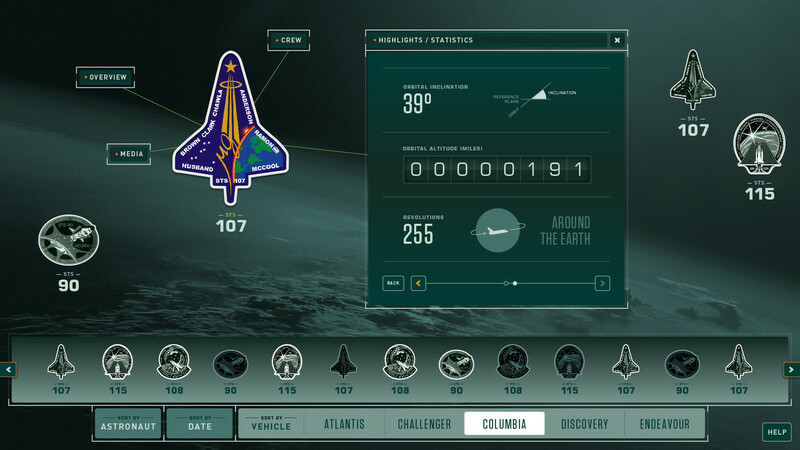 The user can select from a number of virtual tours, including the Discovery flight deck. When an object is pressed, a description window appears, explaining the role of that component. 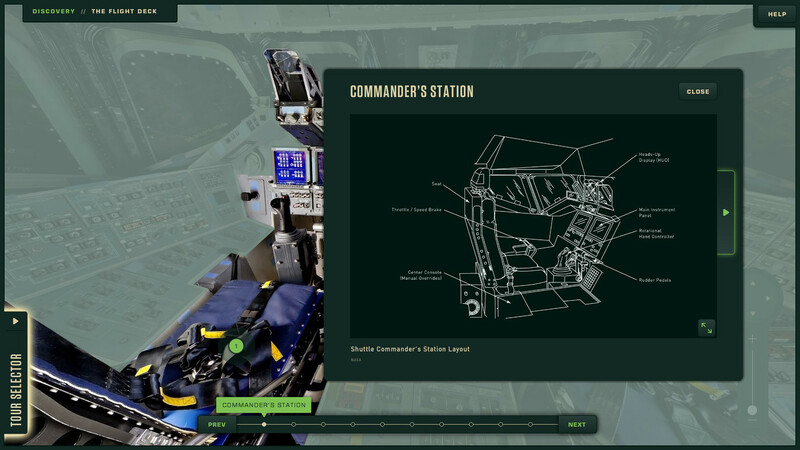 Diagram showing the different components of the Commander's Station. 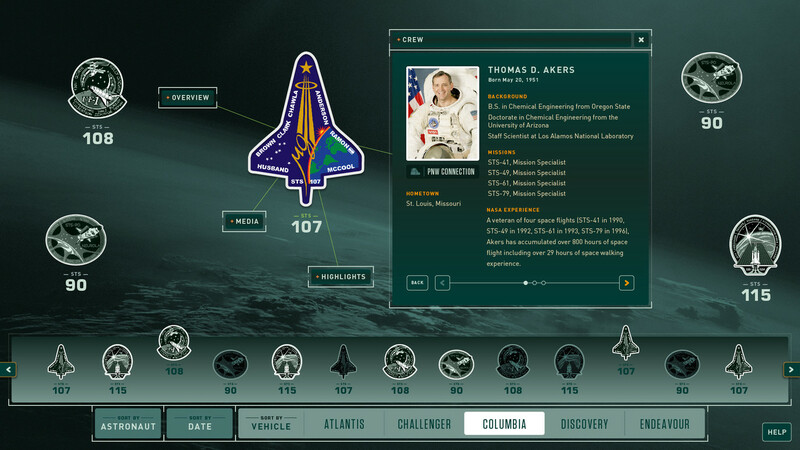 Missions Database crew screen. When a person is selected, related missions raise in the bottom bar that relate to this crew member. 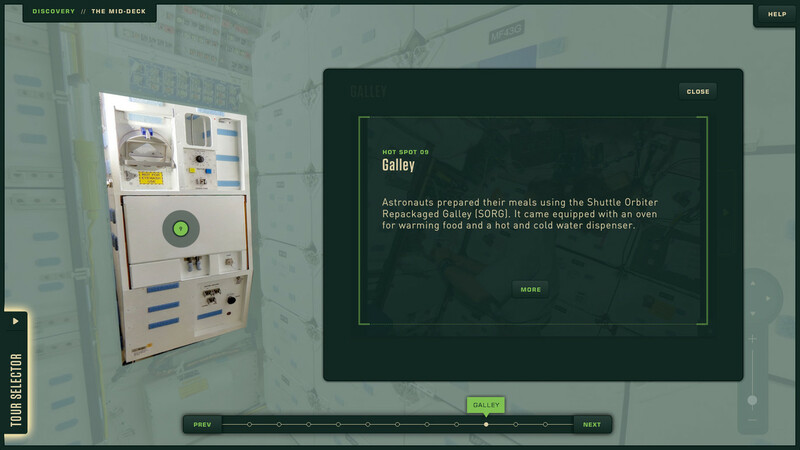 For their newly constructed Space Gallery, the Museum of Flight commissioned Belle & Wissell to create a set of interactives that would enrich the exhibit space. 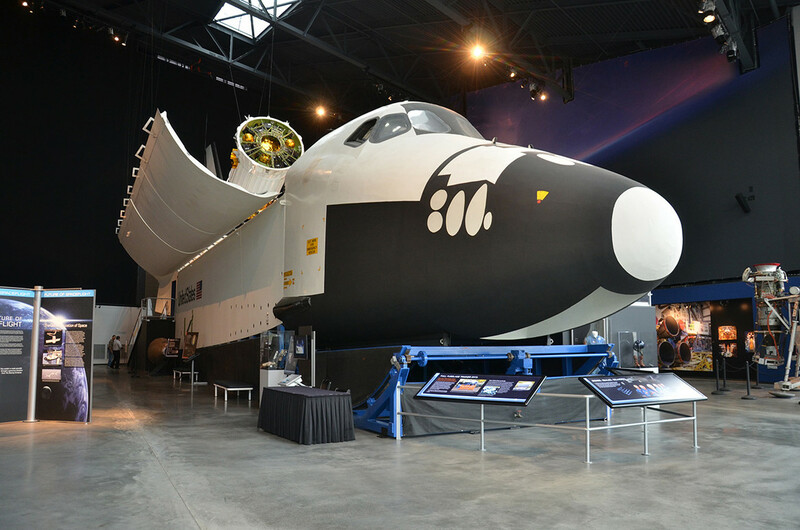 The 15, 500-square-foot building is home to NASA’s full-fuselage space shuttle trainer, a Russian Soyuz space capsule, spacesuits, and other artifacts from recent commercial spaceflight ventures. 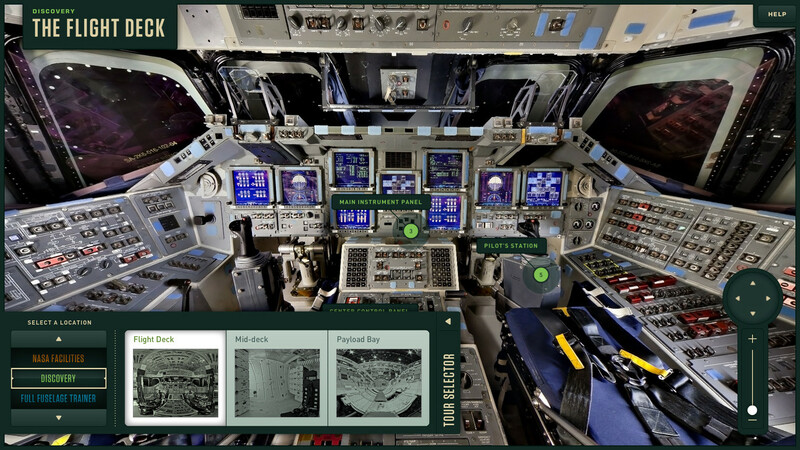 The kiosks were installed alongside the trainer to help to tell the story of NASA’s remarkable space program. The missions database interactive is a repository of all STS missions along with information about the shuttles, crew bios, and statistics. 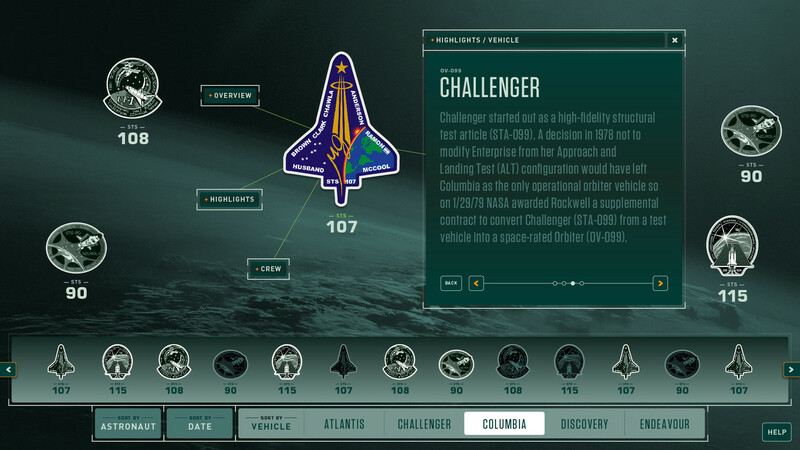 Each mission is represented by their badge, and missions can be sorted by date, vehicle, or astronaut. Missions can also be compared with each other by dragging them onto to each other. 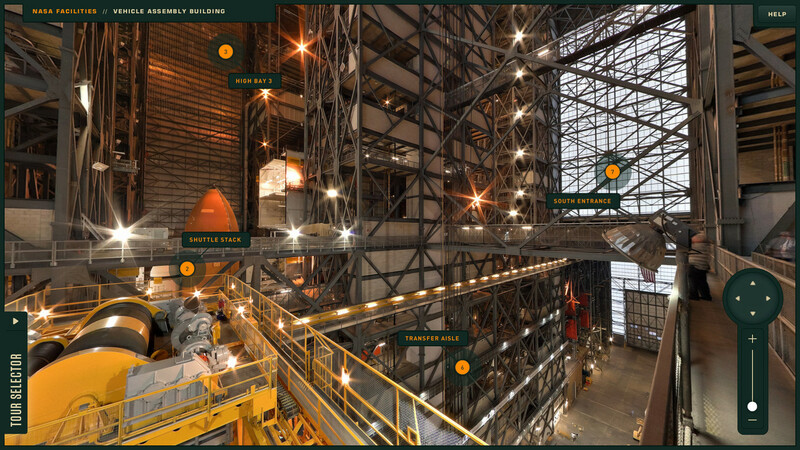 The VR tours interactive gives visitors the ability to explore various spaces within the NASA, including a look inside the Discovery space shuttle, NASA facilities (including mission control), and the full-fuselage trainer. 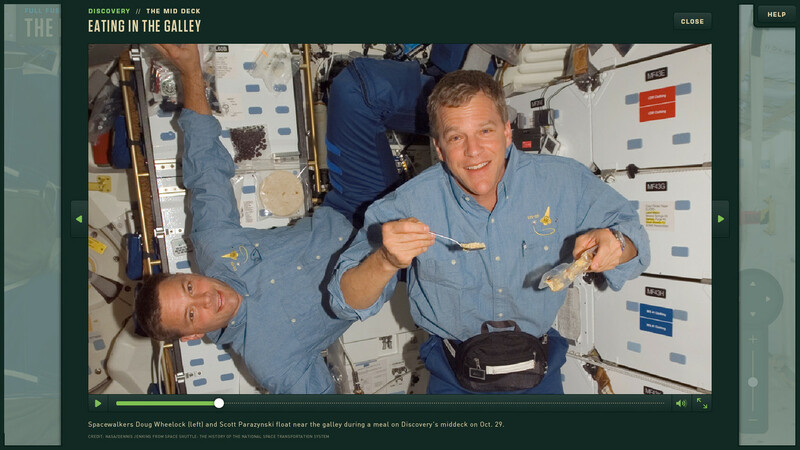 Users can also pan and zoom around each area and explore the spaces at their own pace. 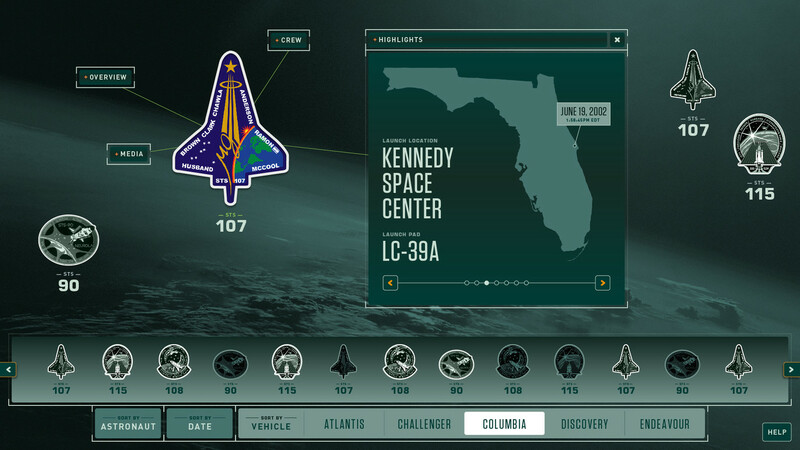 Each tour is labelled with particular areas of interest – giving the user access to text, diagrams, images, and videos about the item and its uses. 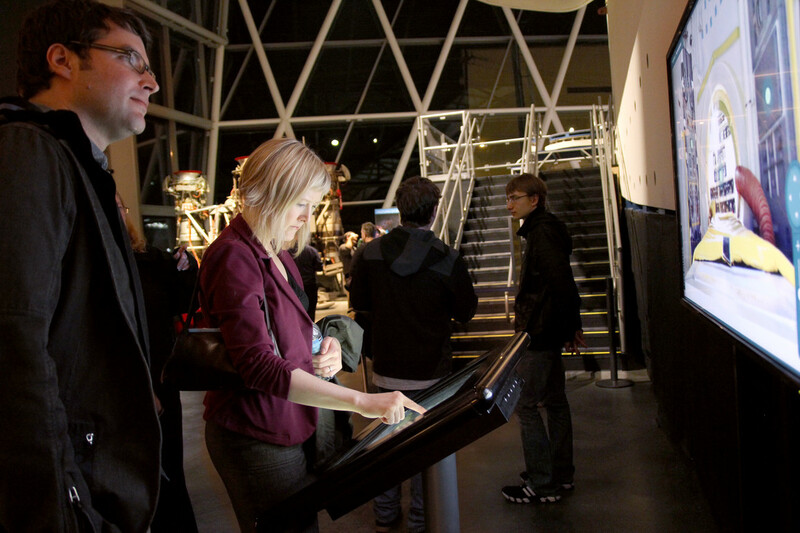 In addition to exploring the spaces on the touchscreen, the interactive is also displayed on a larger display above the kiosk – allowing multiple people to view the spaces, and to create a more immersive experience of the tour.